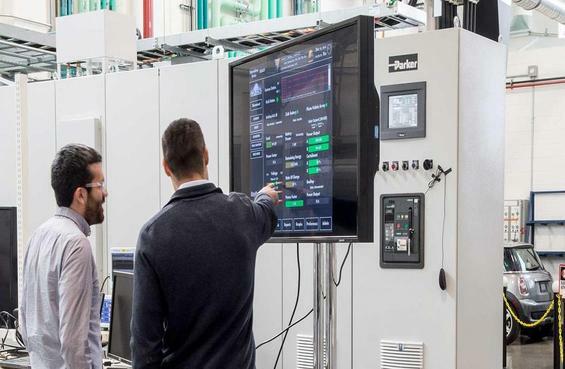 US Marine Corps Air Station Miramar in San Diego is the site of a new electric vehicle-to-microgrid-utility grid test and demonstration project. Six 15-passenger electric vans will be equipped with bidirectional, vehicle-to-grid (V2G) charge/discharge capability and integrated into the air station’s site-wide microgrid during the project’s first phase. The pilot system subsequently will be interconnected to San Diego Gas & Electric’s grid during the two year-long project. Miramar’s microgrid will be able to draw energy from, as well as recharge, the electric vans’ lithium-ion batteries when the vehicles are parked and plugged into charging stations. Should the local utility grid fail, the vans will rely solely on the base’s microgrid, operating in back-up, island mode, to continue functioning. Led by Berkeley Lab and funded by the California Energy Commission, the demonstration project is the latest is a series of green, distributed energy resources and microgrid tests and deployments carried out at Miramar. Operations and demonstration of the electric van-to-microgrid will last at least one year, explained Doug Black, the Berkeley Labs Grid Integration Group engineer leading the project on behalf of the US Department of Energy national laboratory and the California Energy Commission. “MCAS Miramar provides a unique test bed for developing and demonstrating controls for integrating bi-directional electric vehicles with a variety of other distributed energy resources, including flow batteries, PV, and building loads, to meet microgrid energy assurance and resilience objectives as well providing as broader grid support services,” Black told Microgrid Knowledge. The vehicle-to-microgrid-utility grid pilot test is being undertaken as part of the Marine Corps’ Mobility Transformation initiative, via which the Corps is exploring ways of making transportation and logistics smarter, cheaper, more accessible and more efficient. “We hope to be able to integrate these types of systems into our combat forces and into our garrison forces and that they will allow us to bring broader and more diverse technology to the Marine Corps and the military,” said Col. Jason Woodworth, commanding officer of MCAS Miramar. 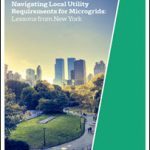 Learn more about Miramar during a special session at Microgrid 2019: “The Reliability Mission: How and Why the Military is Prioritizing Distributed Energy Resources.” Conference agenda here. Project partners intend to demonstrate that bidirectional electric vehicles can be seamlessly integrated into a facility fleet to provide mobility that reduces carbon and pollutant emissions substantially, Black added. Providing energy storage for resilient microgrid operation and provision of grid services also figure in the project’s main objectives. 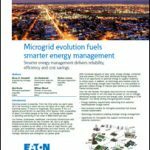 Demonstrate that bi-directional electric vehicles can provide critical complementary services to fixed storage batteries in microgrid applications while performing function as non-tactical vehicles. Equipped with bi-directional grid charging/discharging capability, two electric vans initially will be interconnected with the nanogrid that serves Miramar’s Installation Energy unit. The nanogrid is based on a solar photovoltaic (PV) array and battery energy storage, said Mick Wasco, Marine Corps Air Station Miramar installation energy manager, in an interview. More specifically, the energy unit’s nanogrid incorporates a 202-kW solar carport system and 250 kW of battery energy storage. The unit is in the process of replacing the original Primus Energy, zinc-bromide flow battery with a newer version. They’re also adding a new lithium-ion battery supplied by Transpower, Wasco told Microgrid Knowledge. A total of six bi-directional vehicle-to-grid charging stations will be deployed in the base’s main parking lot. They will be interconnected to the base’s site-wide, 3.2 MW microgrid, which relies primarily on methane produced from an on-site landfill biogas production and power generation system. “This project isn’t cheap or easy. The hardest part is figuring out the infrastructure,” Wasco said. The benefits are substantial as well, however, he continued. Wasco estimated that the vehicle-to-grid project would come online by year-end and actual testing and demonstrations begin early next. The autonomous vehicle project is fully approved, but contracts have yet to be signed and a firm project timeline set. Track news about vehicle-to-microgrid testing. Follow us on Twitter @MicrogridNews. What kind of EV van are they using?